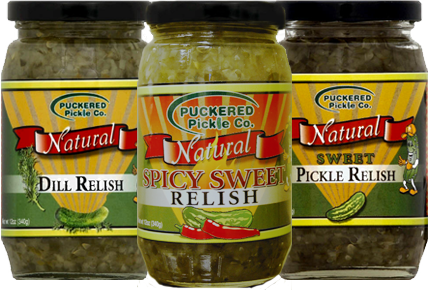 Puckered Pickle and Alpino brands from Chicago’s one and only Puckered Pickle Company. 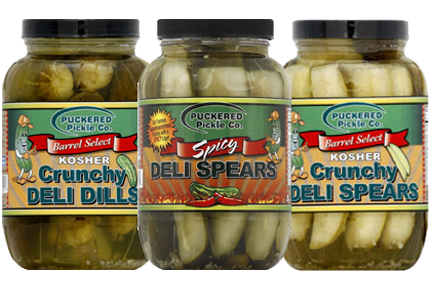 We’re the full-service source for crunchy and delicious pickles, gourmet pickle relishes and tasty gourmet toppings like our Giardiniera and Muffalata. When it comes to the classic-style Chicago Hot Dog, top it off with our pickles, relish and Sport Peppers, and you’ve got it made. Spicy! 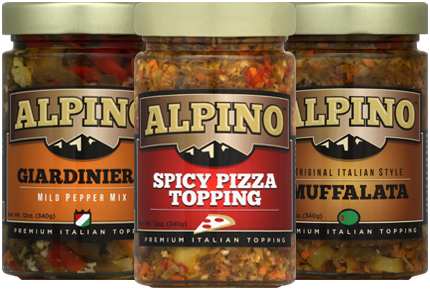 “Since purchasing my first bottle of “Spicy Pizza Topping”, I can honestly say I'm addicted."